This “Paiements sans Contact” initiative was first announced back in July and began right on schedule on 3rd October. How does it work? Unfortunately, it won’t work at all for most of us yet. Although most of us have seen the waterslide advert for Barclaycard’s system, the technology now at Disneyland Paris is currently only open to users who have a (French) bank account with CIC or Crédit Mutuel (who just recently actually became a new official partner of the resort), and have already signed up to a trial of those banks’ early contactless payment schemes. This allows users to pay for their Disney shopping — or even better, food — in a second. No fumbling with Euro cent coins, no waiting behind someone as they try every combination of four digits possible. Contactless cards allow instant payments up to a certain, safe amount. Just imagine the effect that could have within a few years on those ugly counter service queues. Not that such an innovation needs a carrot to quash any possible stick, but Disneyland Paris are also offering trial users of the scheme an incredibly generous 25% discount at boutiques and 20% discount at restaurants! Oh, but one more condition of the test — you need an Annual Passport, too. Phew, we don’t see the man on the waterslide going through all this… but it’s definitely something to watch for the future. Find out all the official information (in French) right here. 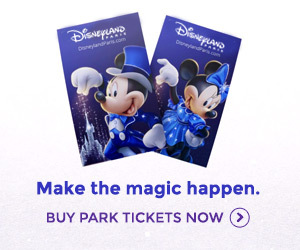 I’ve been wishing for this at WDW for a LONG time. Loving all the new tech that’s hitting DLRP. Sounds very interesting, but also a bit worried about fraud possibilities. I think it would be easy to spend too much as well, depending on the limit they give you. We had a shock when we reached our limit in WDW in our first week !!!!! Easy to lose track of how much you have spent. Does it debit your bank directly, or do you have to pay the balance before carrying on, like we did in WDW ? Contactless is a good option and fraud is kept to a minimum as there are certain restrictions that the card issuer will put on the card to stop spend on contactless above a certain limit and then ask for identification via the PIN being entered, so in fraud terms you will loss a lot less under contactless than you would with a normal card.